With the Fall Equinox our dahlia season is in its last lap. October is always a question mark, but as long as the nights stay mostly above 50ºF and it doesn’t get too wet they can bloom till November. Here’s another great flower for you - the AC Rooster! I’ve said before that I love dahlias that look like their names, and AC Rooster describes this blossom perfectly. With the bright color of rooster comb on each petal’s topside and a paler value of same on the underside, the lengthwise folding of petals to narrow backcurving points also evokes rooster tail. In the dahlia world this is called the Stellar form, and AC Rooster is a classic. His flowers spread 5-6”, officially size BB or Small. 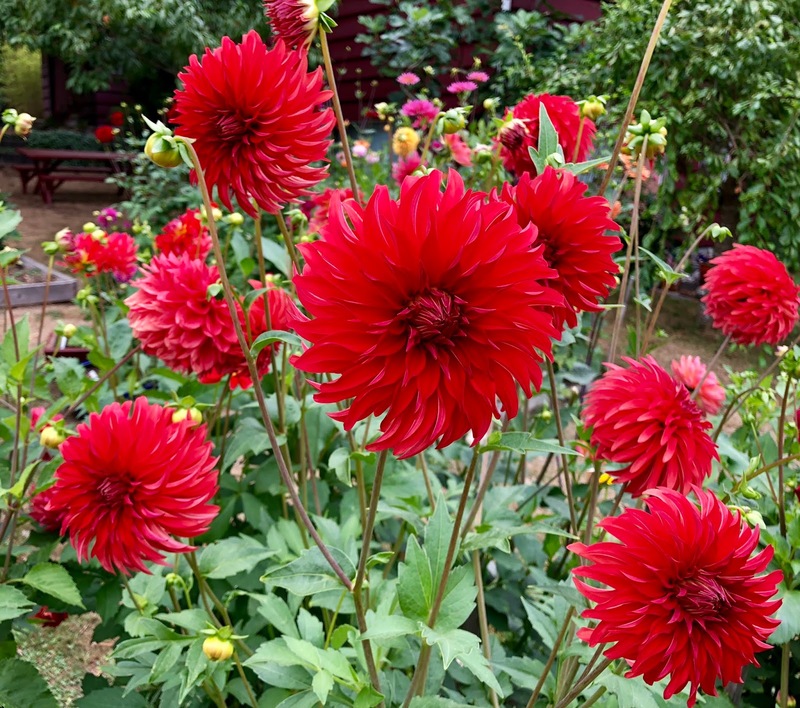 He was first introduced to dahlia lovers in 2010 by the Puget Sound’s own Ken Greenway and has won awards and hearts. The plant blooms robustly, producing many blossoms on very long strong stems on which the flowers sit uprightly, thus looking like a proud strutting rooster. The flowers last well in a bouquet. 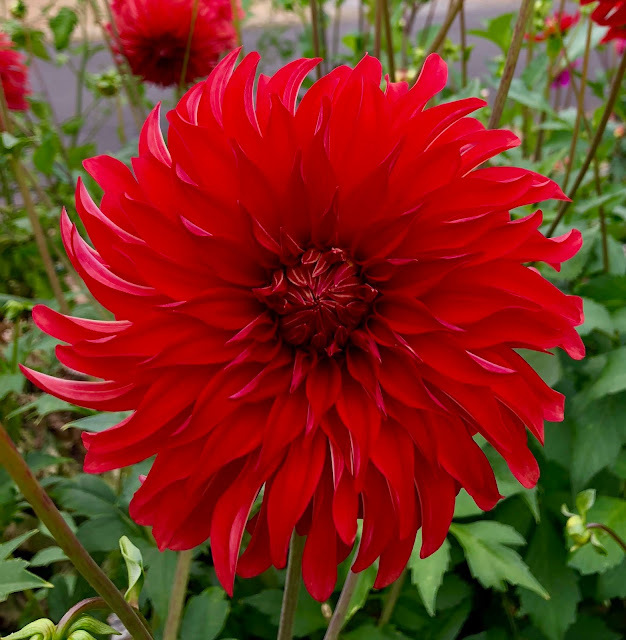 AC Rooster tubers are somewhat difficult to find, but a few dahlia distributors in the PNW still carry them. And I’ll have them in Spring 2019 at the Dahlias for Seniors tuber sale on the second Tuesday in May. Meanwhile the 2018 Dahlias for Seniors fundraiser continues and you can purchase AC Rooster blossoms in a bouquet at the Shoreline-Lake Forest Park Senior Center (18560 1st Ave NE, Shoreline 98155) on Mondays, Tuesdays and Thursdays after about 10:30am. And at the Ridgecrest Public House (520 NE 165th St, Shoreline 98155) Tuesdays, Fridays and Sundays shortly after opening.